On their sophomore album, There Will Be No Peace, The Angelus craft a record that will have you aching for winter. Not the sort of winter where it gets cold, then snows, and after sledding, you come home and drink hot cocoa with ruddy cheeks. No, we’re talking about the sort of winter where the temperature drops below freezing, and the windchill drops below zero, and just walking to the mailbox requires long underwear, two scarves, and a bracing shot of whiskey. That’s how much this Texas trio knows how to create the previously mentioned ache. The Angelus’ label, Tofu Carnage, refers to their sound as “dark hymnal slowcore,” and it’s hard to think of anything which could be more accurate. There’s a ponderous heft to this record, and the band carries that weight in a sonic manner which might otherwise come across as “heavy” in the wrong hands, but this isn’t doom. There’s a clean beauty here on songs like “An Interceding,” where the band’s music chimes beyond Emil Rapstine’s melancholy vocals. That’s the key to what makes The Angelus and There Will Be No Peace such a success: knowing restraint. “Man Alive, Alone” features some powerful riffs early on, but rather than allow them to develop into these big, jamming power chords, Rapstine allows Ryan Wasterlain to develop those riffs quietly, while he rings in chiming tremolos alongside. Never doing what seems like the usual works so well for this band, and that’s why the titular closing cut flourishes. While the other tracks on There Will Be No Peace don’t develop the way the listener expects, it’s by pulling a double-fake, delivering an epic build to a jam on the title song that The Angelus surprises. It’s a huge song, and the way the album’s sweep comes to a conclusion with these eight and a half epic minutes is breathtaking. Tofu Carnage’s output has always been solid, but this might be the first record which comes under the category of “must-have.” The Angelus’ There Will Be No Peace is the powerful soundtrack to your winter you didn’t know you needed. 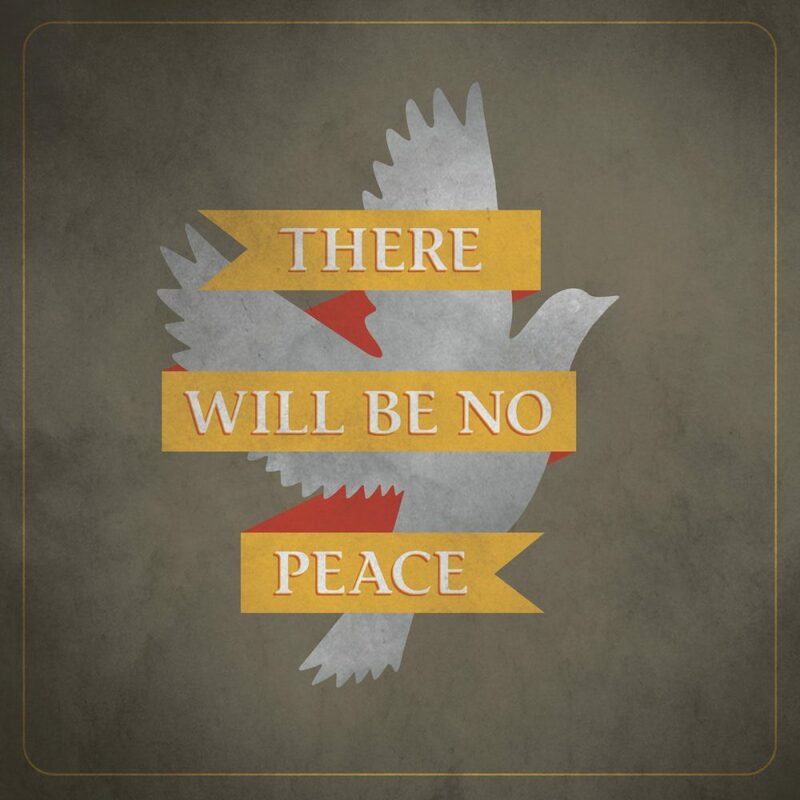 There Will Be No Peace sounds amazing. 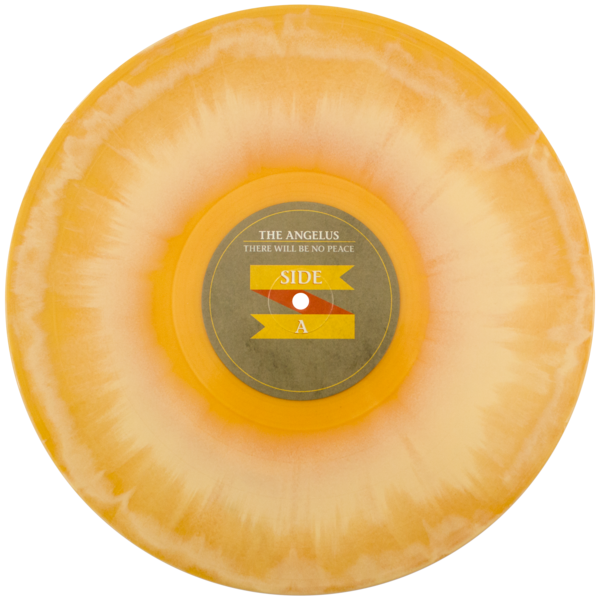 Considering the amount of quiet on The Angelus’ record, any amount of surface noise would be ruinous, and there’s absolutely none to be had. Given the color variation, one would expect some amount of distraction, but kudos to Pirates Press for knocking this out of the park. The quiet is clear, and when it finally gets loud(er), it’s appropriately rumbly, as well. The packaging is absolutely gorgeous. 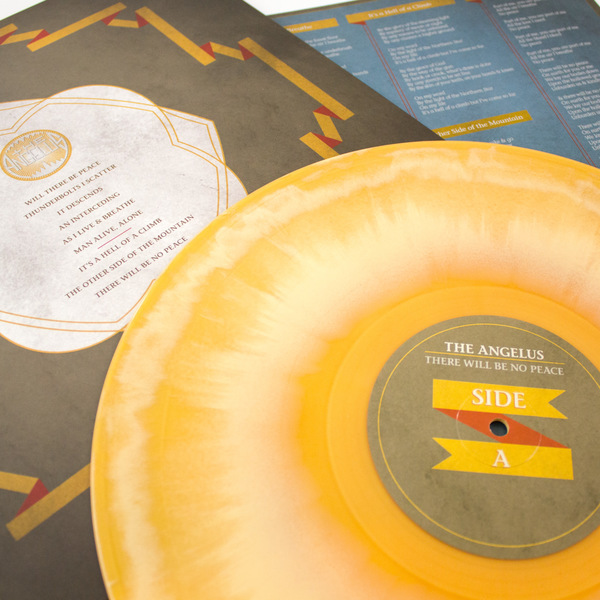 The “beer and mustard” colored vinyl nicely compliments the banners on the cover and inner sleeve, and it’s on 200-gram heavy-duty vinyl. This is a record whose weight isn’t just sonic. The die-cut jacket looks great, and the printed inner sleeve with the lyrics manages to simultaneously reference condolence cards and classic Japanese watercolors. It’s basically a very nice, very simply done class act. 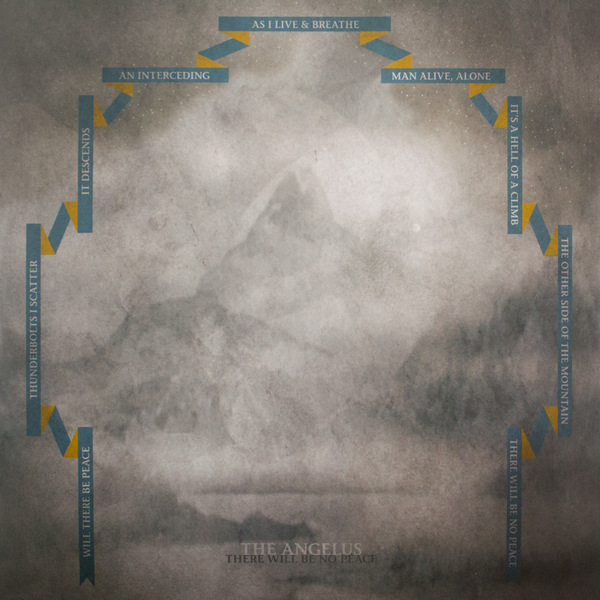 The Angelus' "There Will Be No Peace" is the powerful soundtrack to your winter you didn't know you needed. There Will Be No Peace is available on vinyl at Tofu Carnage.